Home » Lifestyle » Health/Fitness » Avoid this deadliest mushroom that is spreading fast! 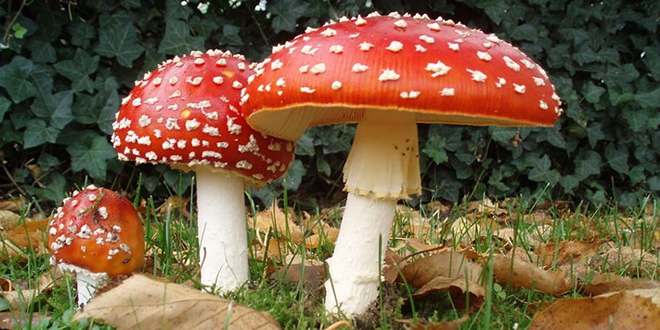 Avoid this deadliest mushroom that is spreading fast! Love mushrooms? Then read this news carefully. An otherwise innocuous variety of mushroom has turned toxic, and spreading fast. Aptly named ‘Death Cap’, this variety is now on every continent except Antarctica. This fungus is spreading rapidly across the globe and it looks and smells a lot like a number of edible species of mushroom. A little amount of ‘Death Cap’ (Amanita phalloides) can result in death and it can be hard to even diagnose patients properly in time, said a report in the Slate magazine. The death cap doesn’t taste remotely like death – many people who are poisoned claim the mushroom was the most delicious they’ve ever eaten. But scientists have now found an antidote to this. S. Todd Mitchell of Dominican Hospital in Santa Cruz in California and colleagues have treated more than 60 patients who ate this mushroom variety and got sick, with a drug derived from milk thistle. Every patient who still had intact kidney function and was started on the drug within 96 hours of eating mushrooms has lived. Bionic eye to see the World! How does HCG diet work? Low Fat Yoghurt bad for Pregnant Woman? Breast cancer drug in bodybuilding supplements? Next: Crocodiles that climb trees! Avril Lavigne Celebrates Release of "Complicated"
Obama Wants Congress to Aurthorize Military Strike Against Syria! Miley Cyrus is HOTTEST - No.1 in Maxim! Harry Potter is not the end of my Career, says Emma Watson!